Readers sound off on bikes, bullying, and Jane Brunner. Lesson learned? Too confusing, frustrating, or difficult to find a bike? Hopefully not. Sundays are notoriously busy for most bike shops, because it's when everyone wants to fix or buy a bike. Try a weekday, when someone has time to consult with you. Just as one wouldn't simply walk into a car lot and buy a car without a little research, a bicycle demands the same thoughtful attention. Fit, price point, and utility all need consideration. Craigslist is extra hassle, trading time for money. The folks at The Spoke have always been extremely helpful without an ounce of attitude when I've wanted to fix, sell, or buy a bike. Heck, they will even sell your bike on consignment! Riding a bike is a thoroughly enjoyable experience well worth any time you invest into finding the right one. Don't despair, car driver — keep your chin up and have a little patience. It's worth it! Go for the bike you fell in love with! The Linus or the Public will get you looks and get you places. 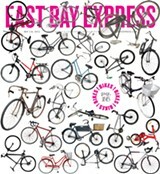 You might also check out the stylish Raleigh roadsters at Bay Area Bikes, on Webster. The Raleigh Superbe is a quality bike. Give 'em a call and see if they have last year's model on sale. Don't forget to save some cash for a bike lock, a cute bell, a basket (and a helmet, if you're into that kind of thing). 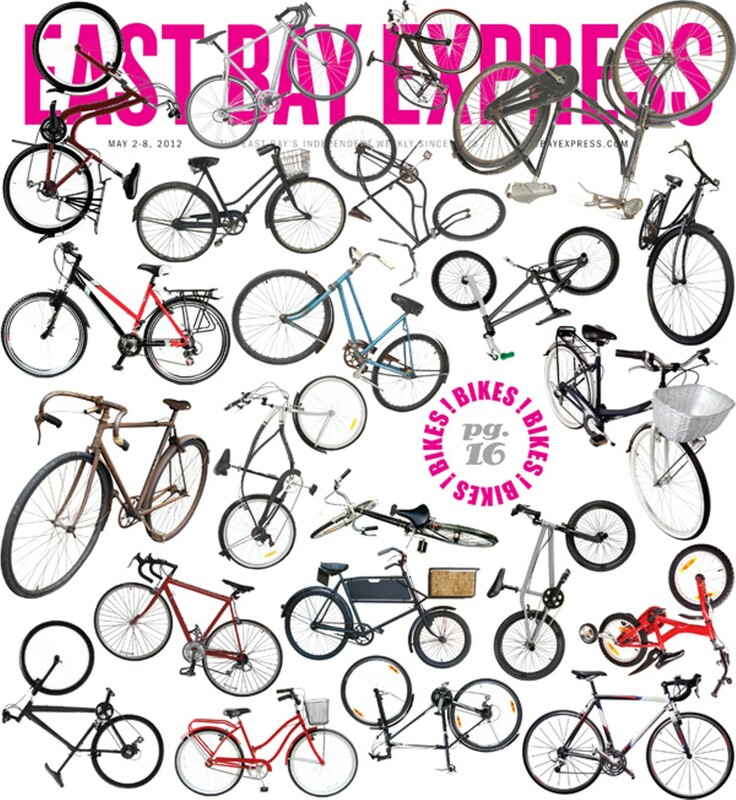 If you lock the bike right — through the frame, with a cable through the wheels, or with a set of locking skewers — and don't leave it in sketchy places like Ashby BART overnight — it's a 90 percent guarantee you won't lose it. By the way, you are so not a gas-guzzling outcast [for driving a car]. If there's one thing about bike people, it's that we're always on the lookout for our next perfect bike. And you're a gal on the lookout for a bike. That makes you part of the in-crowd right there. Good luck and hope to see you on the road! P.S. Gotta give some props to The Spoke. The new owners have worked super hard to turn the shop around from a dingy rat's nest of steel and spokes. It's becoming a new community anchor for the dead zone between Temescal and UC Berkeley. They really are super duper and I love that they're right around the corner from my house! My first bike as an adult was an old Schwinn, (steel frame, five-speed, 1970s vintage) that I basically inherited from a friend. I got lucky: I still have the bike and love it. It's a good commuter bike for my purposes. It is, admittedly, quite heavy, but it's solid and rides well. I'm not trying to sell you my bike. The point is, don't neglect used bikes as a possibility. Actually, older bikes are often better-made than their brand-new equivalents. I would highly recommend getting the bike from an actual shop rather than from Craigslist. And make sure you get a bike that "fits" you well in terms of actual size, as well as your intended use. Let us all light a candle and have a moment of silence for the late Recycle Bicycle (at which I used to work). Sorry that your experience there was not great, but it was a good working-class neighborhood shop. But toward the end of its tenure, there were not actually many bikes for sale there. Most of the bikes in that shop were actually customer bikes being worked on. I suggest that you just get on a bike and ride. Borrow a friend's bike. Get a cheap used bike at one of the great used cycle shops around. You could even go to the Spokeland Bike Co-Op and get trained on how to build your own bike from the used parts they stock. Once you are on a bike, forget about what's cool or who looks tribal. Just enjoy riding around and smelling the smells, run errands, or just get some exercise. After riding a bit you'll have a better idea on what kind of bike you really want. Fix up the one you already have or get one of the ones you looked at at Manifesto. Don't let your decision-making prevent you from riding now. Good luck!